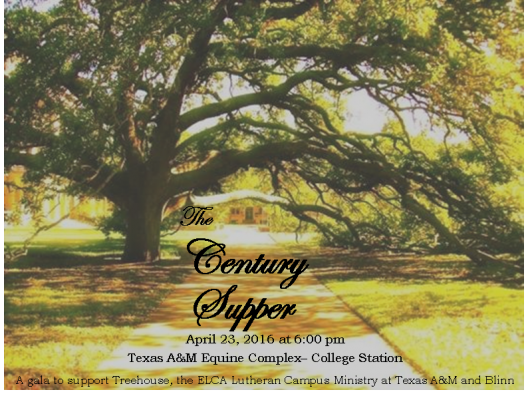 On April 23, 2016, Treehouse held our second annual gala, The Century Supper, which raised $12,000 in support of Lutheran Campus Ministry at Texas A&M and Blinn College. Whoop! We are grateful for the many who sponsored, donated silent/live auction items, or attended in support of our lovely students and young adults. Because of your stunning generosity, Treehouse is able to cultivate deeper faith in Aggieland. Thank you!